Miss Belle thinks that our new improved kitchen area is just for her, she's not as tall as the rest of us. 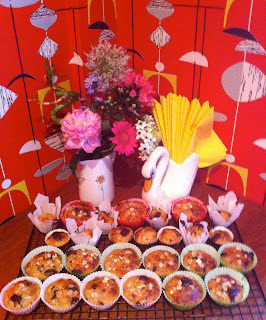 Banana, Chocolate and Oat muffins, all on her own, half the sugar required in the recipe and they were just fine. 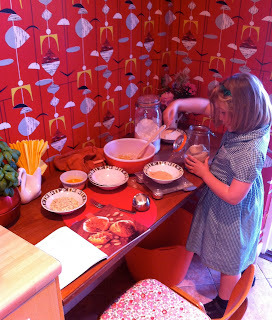 The dinky ones are for her break time snack at school, after the fruit obviously!